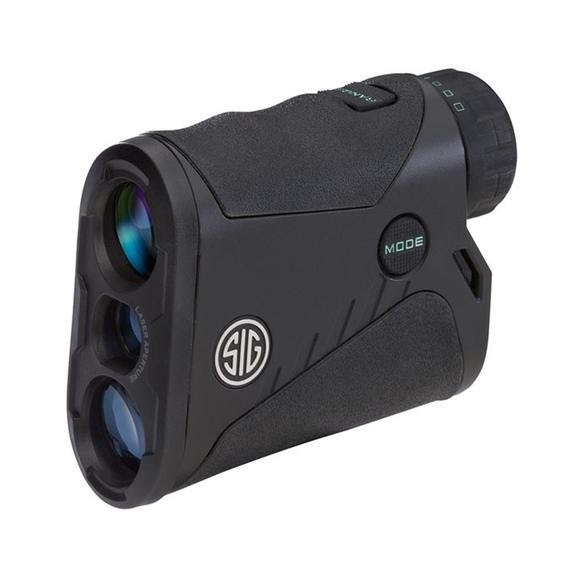 Sig Sauer's Kilo 1200 is one of the most advanced, yet simple to use rangefinders on the market and features the fastest, digital signal processing engine while streamlining the user interface for a no hassle, out of the box experience. Sig Sauer &apos;s Kilo 1200 is one of the most advanced, yet simple to use rangefinders on the market and features the fastest, digital signal processing engine while streamlining the user interface for a no hassle, out of the box experience. Highly efficient, ultra-wide broadband, anti-reflection lens coatings reduce surface reflections to extremely low levels across the entire visible spectrum providing superior light transmission.